A Chinese company has been denied the chance to release food and drink products under the "face book" brand name. 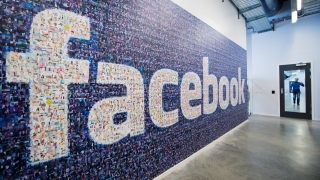 According to CNET, Menlo Park-based Facebook has emerged victorious after a Beijing court threw out a Chinese company's case to register "face book" as a trademark, and use it to brand items such as canned vegetables, potato chips, candy and coffee. While the ruling will certainly put a damper on international attempts to profit off of the Facebook name, it might not abate the proliferation of cakes that look like Facebook popping up on the social media site and Instagram.